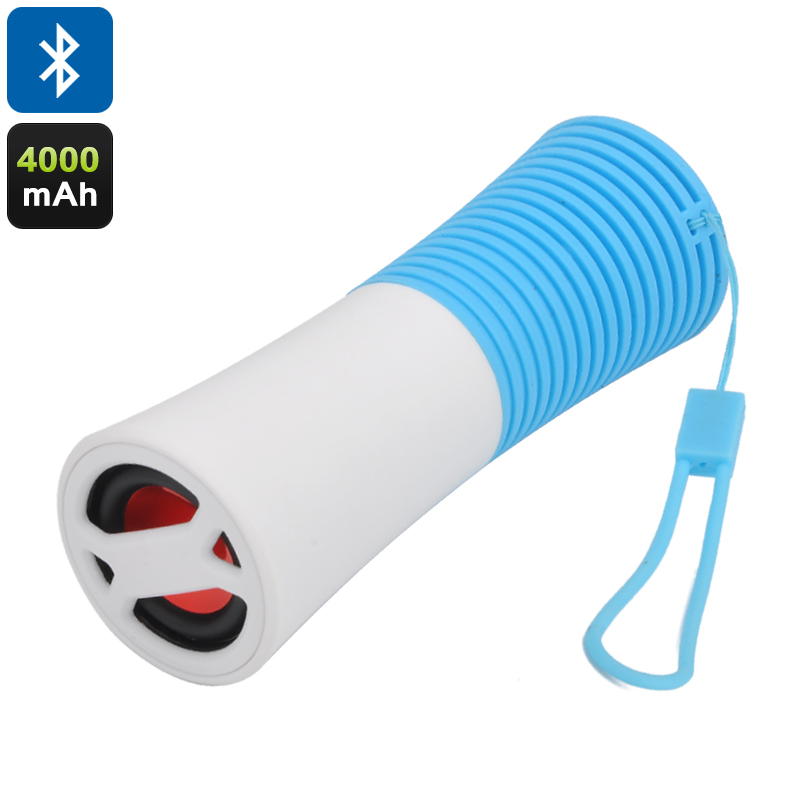 Successfully Added Weatherproof Mini Bluetooth Speaker - 4000mAh Battery, 15 Hours Play Time, Power Bank Featuer to your Shopping Cart. Multifunctional wireless Bluetooth speaker and power bank pack a 4000mAh battery offering you a great backup power supply for your smart watch, phone, music player and many other gadgets. A 3 Watt speaker brings impressive audio quality with a nice range so it won’t sound tinny. Using Bluetooth 3.0 you get a stable connection to play your music from up to 10 meters away without interference or loss in quality. The speaker has an easy to grip rubber base and wrist strap so you won’t leave it behind and can even clip it to your back. Allowing you to play music for up to 15 hours this weatherproof Bluetooth speaker is a great pocket size accessory for your portable music needs. This Bluetooth Speaker comes with a 12 months warranty. brought to you by the leader in electronic devices as well as wholesale Bluetooth speakers..